Thomas Beavers is the pastor of New Rising Star Church in East Birmingham. He is currently leading the process of purchasing Century Plaza Mall with plans to relocate the church there to accommodate future growth. I sat down with him to learn more about how he reached this milestone. Beavers explained that over time, he developed this dream to see former Century Plaza Mall revitalized to serve as a hub for the community of East Birmingham. Not only will this property serve as home to New Rising Star Church, but Beavers also plans to start a charter school in the space. The remaining 743,000 square feet of space will be dedicated to nonprofits and other agents of change whose missions align with the church’s. As his plan has materialized, Beavers has faced many challenges. Pursuing this dream has demanded a lot of his time and energy, in addition to the normal strains placed on a church pastor. He compared his experience with Joseph in the Bible. “He had a dream and he told his dream to his brothers, and the moment he opened his mouth was the moment he started going through all of these trials. But inevitably, his trouble was transportation to the fulfillment of his dream. Everything that seemed bad was really pushing him to where God said he would be,” said Beavers. New Rising Star Church has always been a part of his life. Beavers grew up in the church under the leadership of his grandfather, Tommy Chappell, who pastored for 35 years. Following his grandfather’s retirement, Beavers stepped in as pastor in 2010. At Samford University’s Beeson Divinity School, Beavers wrote his doctoral dissertation on Biblical pastoral transitions. That enabled him to transition smoothly into the role of pastor, moving forward along the path his grandfather had paved. Despite Beavers’ defiance, the Lord got his attention. “I was in four car wrecks in three months. In every car wreck I walked out of the car without a scratch on my body, and I could hear God telling me, ‘I’m calling you to preach, ’” said Beavers. Beavers originally went to Kentucky State University on a basketball scholarship with plans to become a doctor. Over time, though, he realized that he didn’t have the passion to succeed in medical school, and chose seminary at Beeson instead. As he accepted the call to preach, his fear was dispelled by peace. Pastor Beavers is a charismatic leader who is passionate about growing his church while also expanding the church’s influence in the city of Birmingham. You can read more about Pastor Beavers and the story of New Rising Star Church in the upcoming Spring issue of The Local. Which Big Spoon Flavor Are You? Big Spoon Creamery opened its first storefront in Avondale on April 21. To celebrate, find out which one-of-a-kind flavor you are with our quiz below! Running is a sport for everyone. It’s a sport that becomes more popular every year, especially living in a city like Birmingham. Throughout the city, there are so many options of beautiful places to spend your time on the trails. 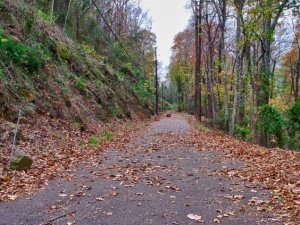 Lakeshore Trail: Located in Homewood along Lakeshore Parkway. This paved trail offers 2.5 miles of flat, paved surface without any worry of motor vehicles. 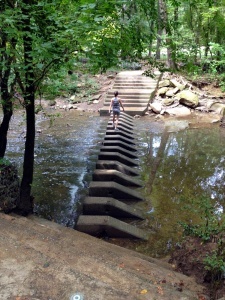 Jemison Park: Located in Mountain Brook. 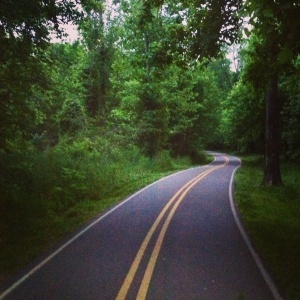 This 3 mile trial takes you through the hills and trees of Mountain Brook. Runners dream big and tackle new distances. They become morning people and make it a routine. One of these trails becomes their friendly southern neighbor. 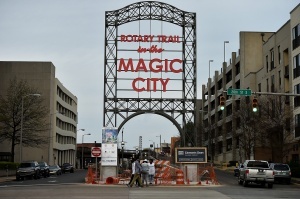 Try something new, go on a run and try out one of Birmingham’s scenic trails.